This issue is mainly about Jack Lee Howl, the CIA operative ‘lost’ in Africa, both physically and spiritually, and up to his aging neck in trouble, mired in bluff, double-cross and more bluff. Caught up in an intrigue with militants trying to highlight the plight of Sudan, he becomes a pawn in a plan to kill a high profile American actress. Howl is offered the chance to find the Unknown Soldier, who the militants aim to convince to help them in their cause. The art and story are, yet again, wonderful in a brutal and uncompromising way – if that sounds like a bizarre thing to say, then let me explain. The Unknown Soldier does not attempt to hide the truths of armed struggle in Africa. For example, it highlights the use of child soldiers. Does this title shy away from showing those children being slaughtered? No. Does it shy away from the protagonist killing these child soldiers? No. what it does do, is portray these terrible things in a graceful and intelligent manner. There is no treacly sentiment, or bludgeoning home a particular agenda. It shows things as they are, in a compelling and articulate way. 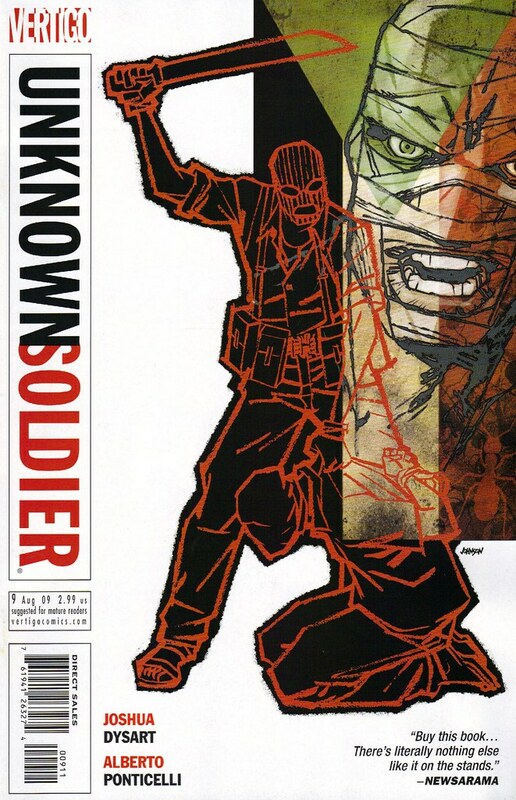 This is why The Unknown Soldier is such an important title of this medium. Graphically compelling, with a rich context to explore and gripping story lines. It demands your attention.